When shopping around for a 3D printer, it’s good to weigh up your options, and find out which models suit your needs best. Are you an experienced 3D printer, after a top-of-the-range machine that can handle large jobs, or are you new to the game and looking for an entry-level machine to get started and see if 3D printing is for you? There are many options for 3D printers available in 2019, from large machines to smaller, portable options. Below are some of our picks of the best 3D printers for 2019. 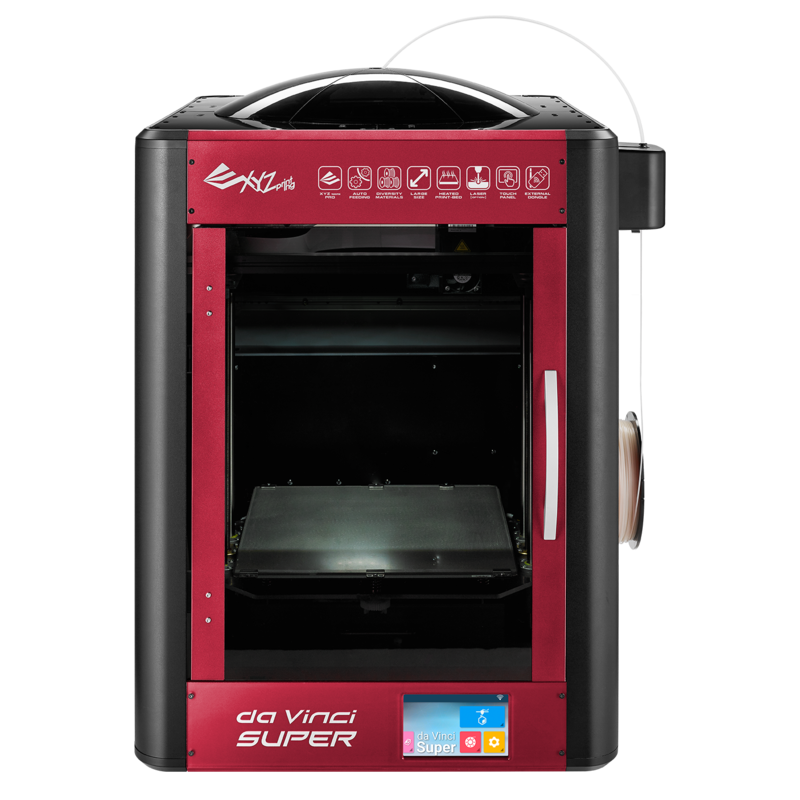 The da Vinci Super was designed to be used in an office or workshop and is capable of printing large designs (up to 11.8 x 11.8 x 11.8 inches). This printer can handle up to five different filament types including PLA, TPE, touch PLA, PET and ABS. It is also compatible with third party filaments, provided they are 1.75mm. One great feature of the da Vinci Super is its print job recovery capabilities. The printer saves the last print layer which is handy for if the power cuts out. This allows for you to resume right where you were when the power comes back on, without having to discard an unfinished print. Printing can also be paused allowing for filament colours to be changed mid-print. The da Vinci Super supports several file formats including .stl, G-code and .obj, and allows for the printing of both stiff and flexible materials. It comes with XYZmaker Suite software, and the printhead can be swapped to a laser engraver module for engraving designs on plastic, wood, leather, cardboard, wood or paper. Named the “best all-round 3D printer” by TechRadar, this printer is packed with a heap of features that make it stand out from the crowd. The MakerBot Replicator+ comes with an onboard camera, allowing you to monitor the progress of your project remotely, using MakerBot Print and MakerBot Mobile. The printer also features an intuitive dial and LCD display screen that lets you preview print files easily. 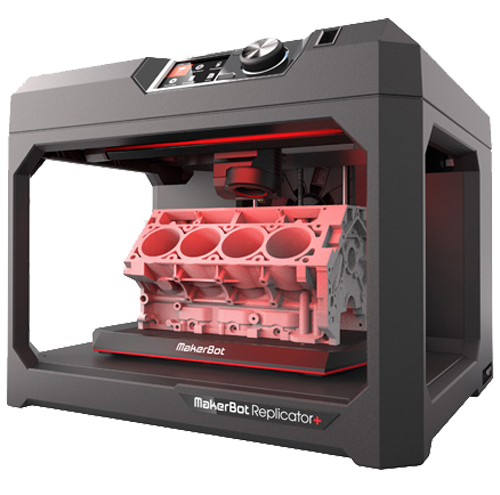 30 per cent faster than its predecessor, the MakerBot Replicator+ features flexible connectivity, meaning print files can be sent to the printer via USB, Wi-Fi, Ethernet or USB drive. The printer is optimised for 1.75mm PLA filament and uses Fused Deposition Modelling technology. The MakerBot Replicator+ is Cloud-enabled and can be controlled remotely with the MakerBot Mobile app or MakerBot Print. MakerBot Mobile features a new guided wireless setup. If you’re looking to get started with 3D printing, but don’t wish to pay the regular 3D printer price, then the M3D Micro 3D Printer could be the one for you! The M3D is an affordable 3D printer, at just $299 USD (approx. $425 AUD). It’s also super portable, weighing just 1 kg, and comes in five different colours. The M3D has auto-levelling and auto-calibration capabilities, and is compatible with 1.75mm filament. The printer supports Tough 3D Ink, PLA 3D Ink, Carbon Fibre 3D Ink, Colour Changing Chameleon 3D Ink, and ABS-R 3D Ink. The official site states that ABS, Nylon, and other industry standard materials can also be used, but should only be attempted by experts. 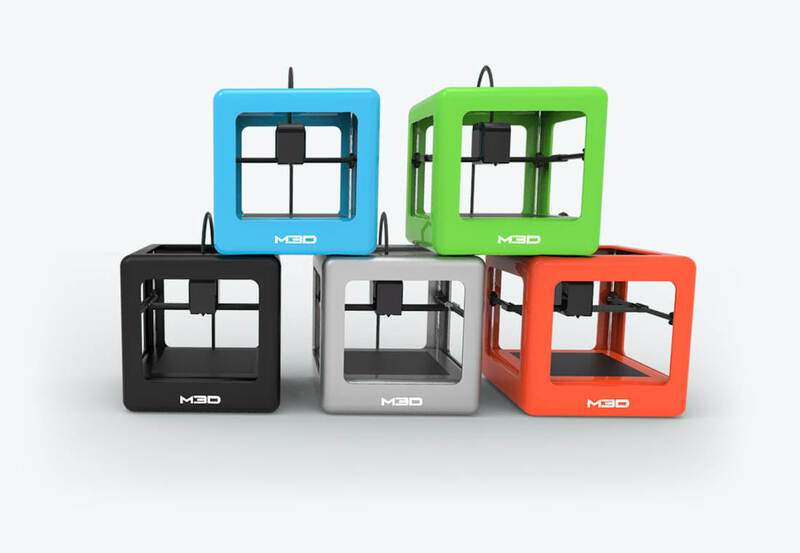 The M3D is USB compatible and comes with M3D software for a “plug-and-play experience”. Due to its micro-size, this printer can’t handle large jobs. It can print objects up to 4.6 inches tall, with a base print area of 4.3 x 4.5 inches up to 2.95 inches. After this point the print base area is 3.6 x 3.3 inches. The Original Prusa i3 MK3S is the follow-up to the MK3, and the multi-award winning Original Prusa i3 MK2S. This MK2S is the highest rated printer overall on 3D Hubs, with a rating of 9.3/10. It was also the winner of the 3D Printer Shootout 2017 and 2018 in MAKE: Magazine. 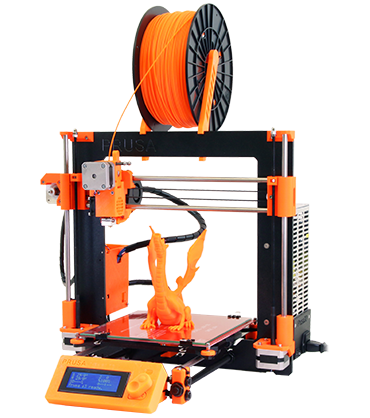 Prusa claim that the MK3S is even better than the MK2S, with features such as a magnetic MK52 heatbed, and a new filament sensor. The MK3S can be purchased fully assembled and tested, or as a DIY kit for those looking to save money or wishing to have the hands-on experience of setting their printer up themselves. The MK3S is already doing well for itself, receiving the Editor’s Choice award from MAKE: Magazine, where it was the highest-rated 3D printer in the 2019 Digital Fabrication Guide. The MK3S claims to be quieter than 99 per cent of available printers, and can print at a rate of more than 200mm/second. The printer has print recovery in case of a blackout or cable disconnection, and features open source hardware and software. This entry was tagged 2019 3D printer, 3D printer, 3d printing, printing. Bookmark the permalink.